What is the typical size of a family served by the program? Typical family size is 1-2 adults and about 2- 4 children. What is the average amount of money one should expect to spend per person or for the family, in total, when adopting a family? We recommend about $100 per family member. If you are a part of a larger office, you may want to select a larger family or multiple, smaller families. Calvin, the Development & Communications Manager will be available to offer assistance in match you to an appropriately sized family, if necessary. How would we be assigned a family? You will be able to select a family, contingent on their availability. Information about families will be shared with potential adopters as it becomes available. Both through email and placement on the website. We are currently in the process of identifying those families who wish to participate and the types of items they need. 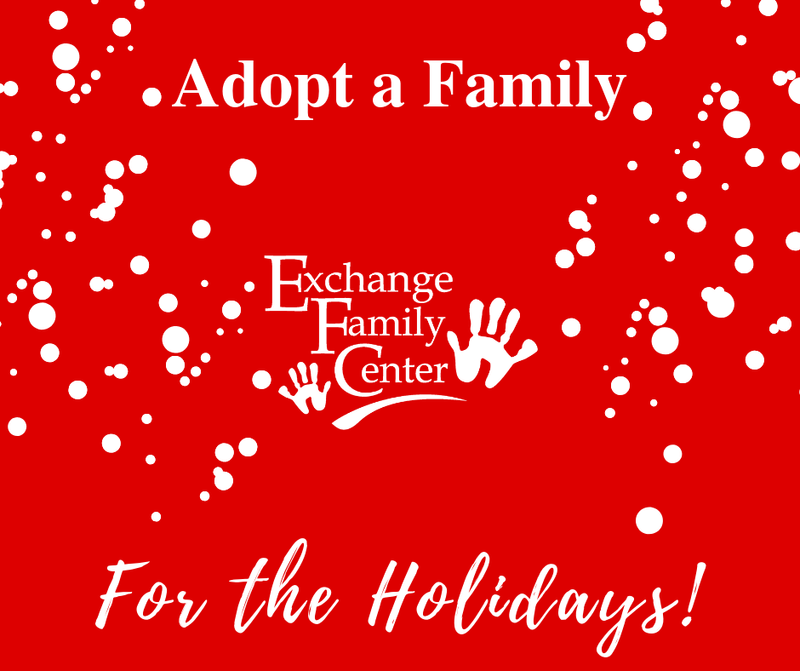 What information would we receive about the family we adopt and their wants/needs? You will be provided with the families’ “Wishlist.” It will have information on sizes and the kinds of things the family has asked for this holiday season. Where would the gifts need to be delivered, and by when? The gifts would need to be delivered to our office - unwrapped – by December 14th. Should the gifts be wrapped or unwrapped when delivered? How will the family receive the gifts? Our therapists, who are close with the adopted families, will deliver the gifts before Christmas. Due to confidentiality, sponsors are not able to deliver gifts to families they have adopted. We want to be sensitive to our families' privacy. Are sponsoring individuals/groups able, if possible, to deliver them personally? Due to confidentiality regulations, sponsors are not able to deliver gifts to families they have adopted. We want to sensitive to our families' privacy. Does your organization do pick-ups, or do items need to be dropped off somewhere? Because we are a small staff, we ask that sponsors deliver donated items to our office before December 14th; however, we are understanding and will be accommodating when, and where, possible.